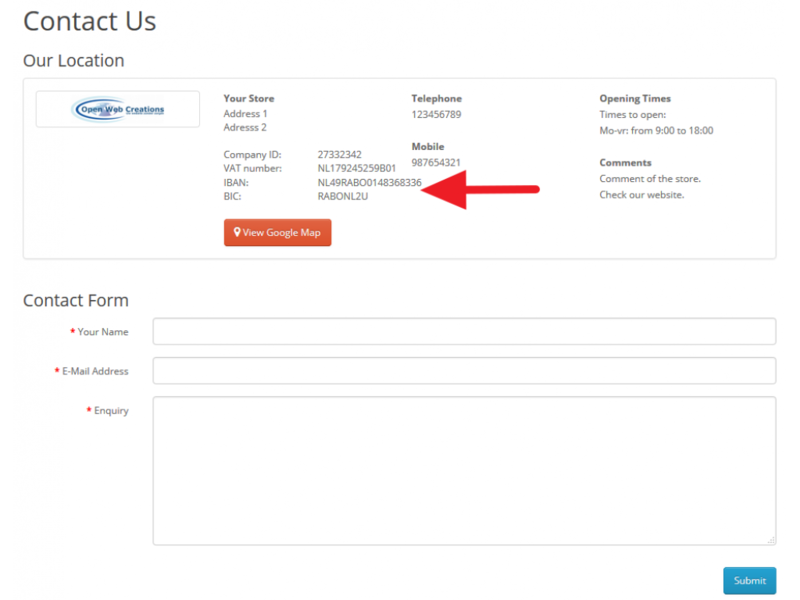 This extension will add the store fields Company ID, VAT number, IBAN and BIC into the store settings. 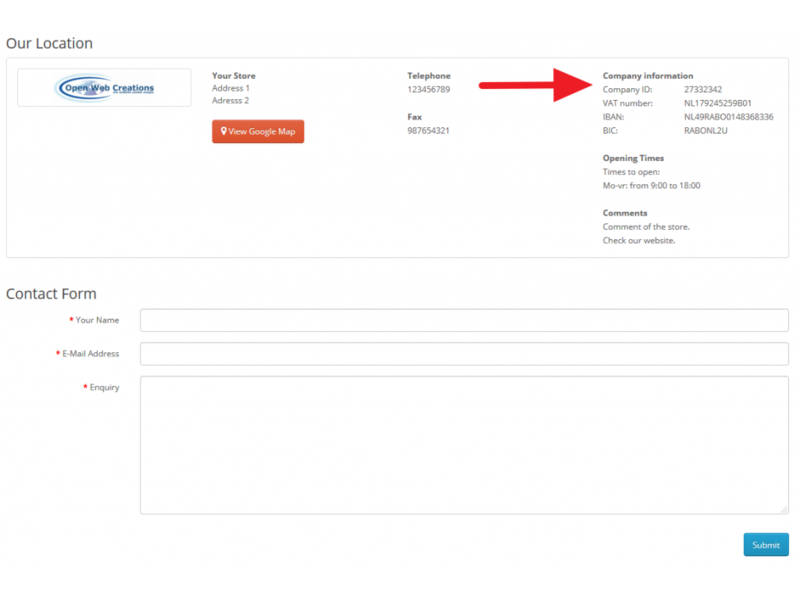 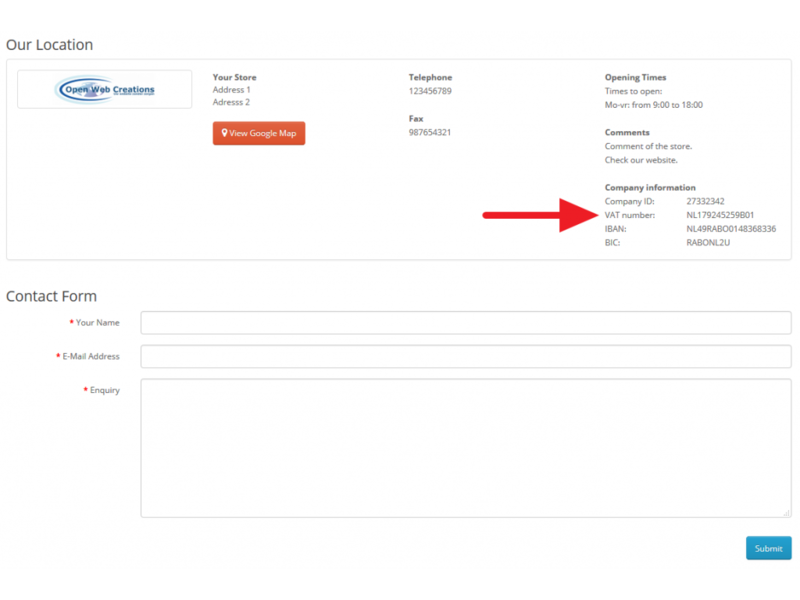 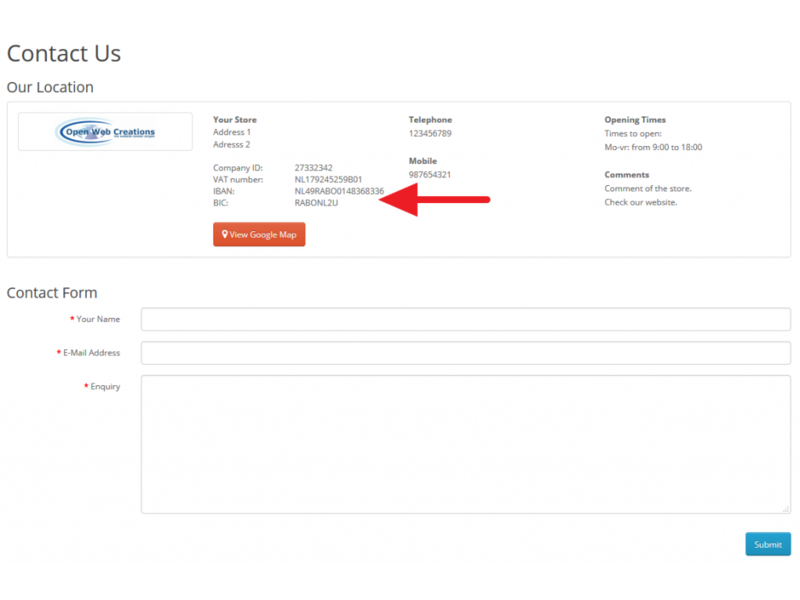 These fields will be displayed on the contact page and the invoice. 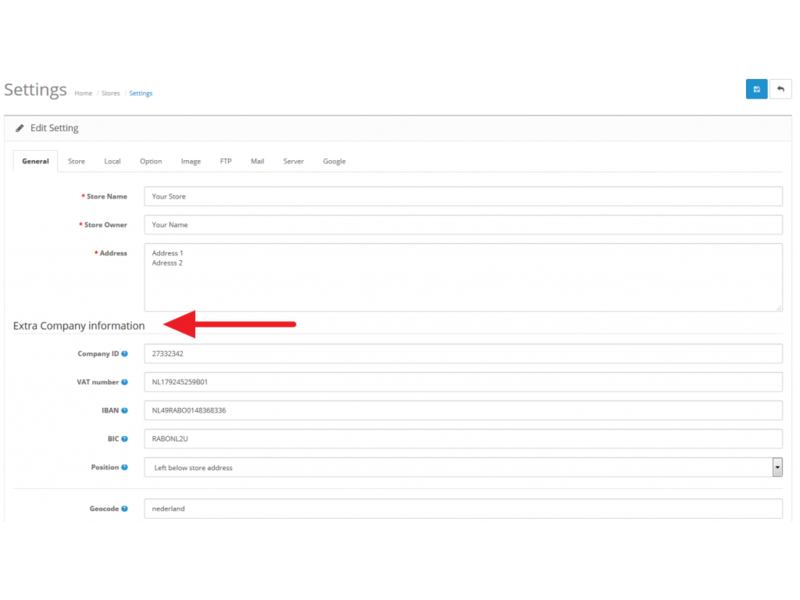 When field are left empty, they won't appear. 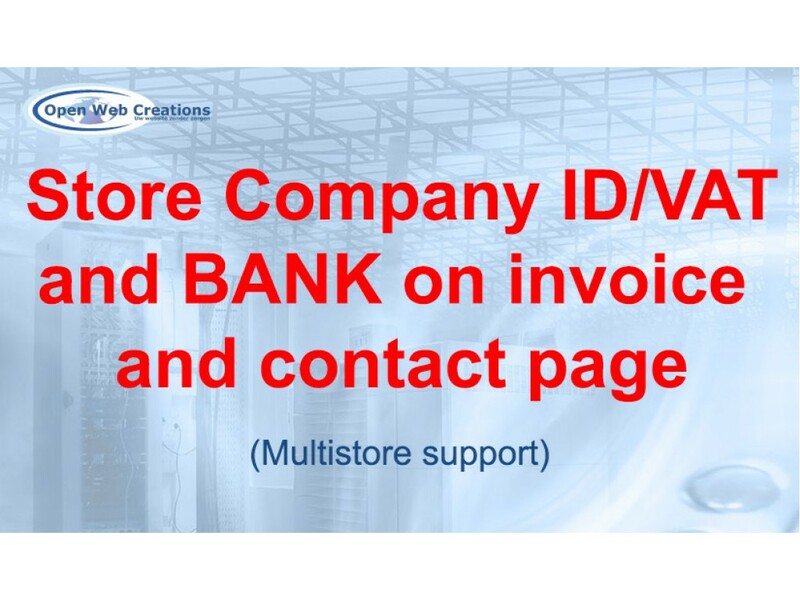 Compatibility: Store Company ID/VAT/IBAN/BIC works well in OpenCart version 2.0.0.0 and above. 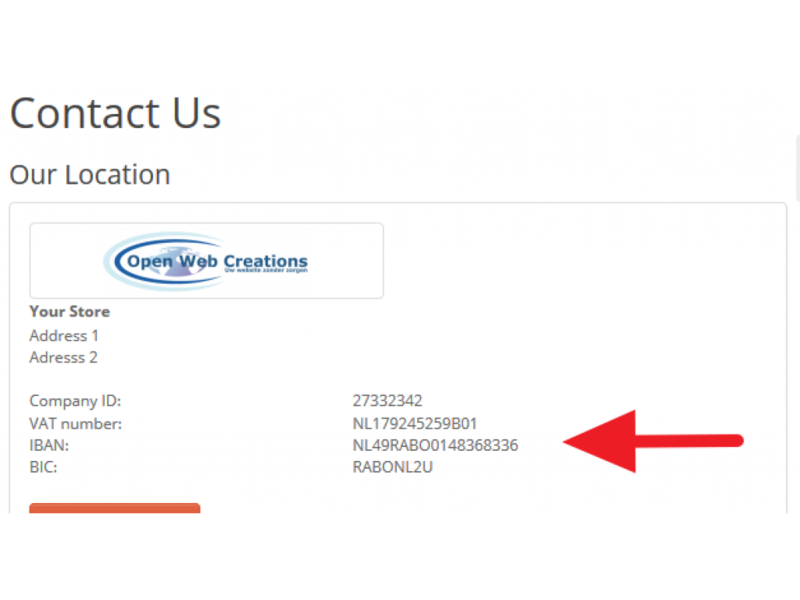 Easy and friendly administration: Within the store settings 'General' tab you can enter the ID/VAT/IBAN/BIC fields. 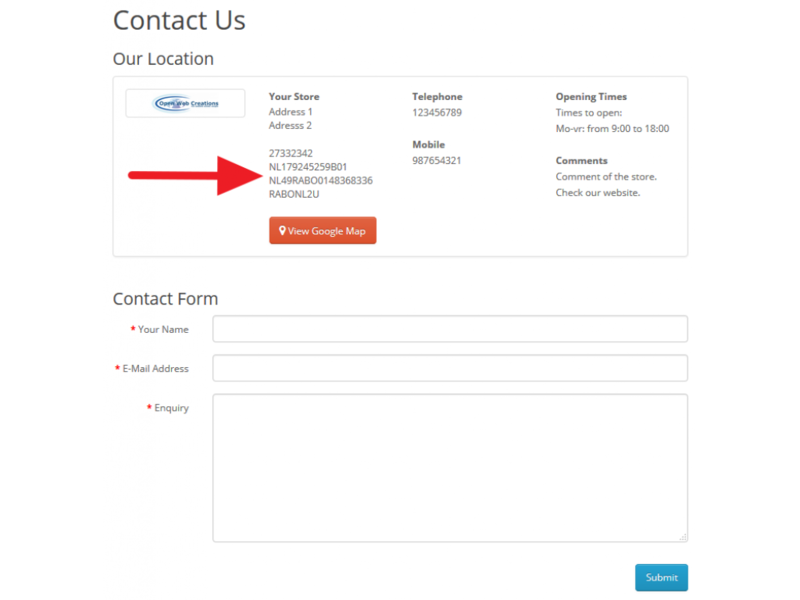 Three positions: The fields can be displayed on the contact page at 3 different positions: 1: Left below store address, 2: Right top above Opening Times and 3: Right bottom beneath Comments. 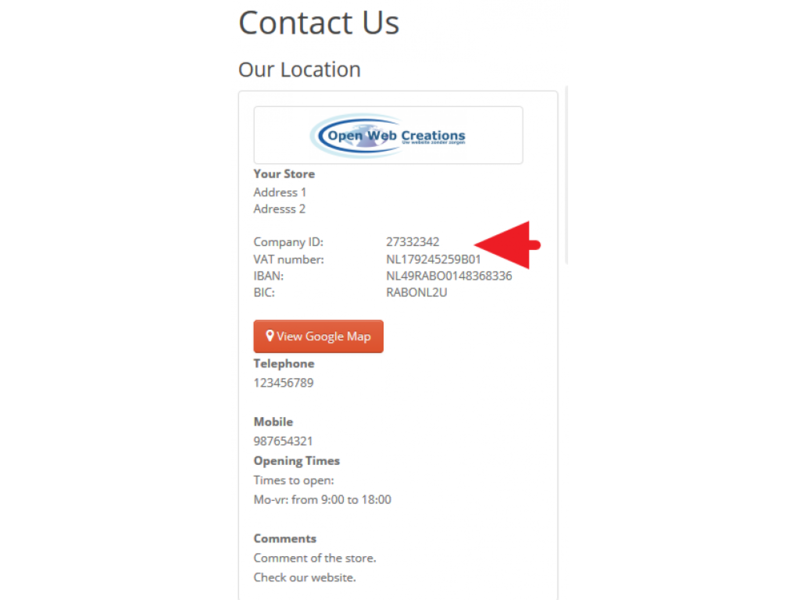 Store contact page with Googlemap adds a Googlemap on your contact page, just below the store inform.. 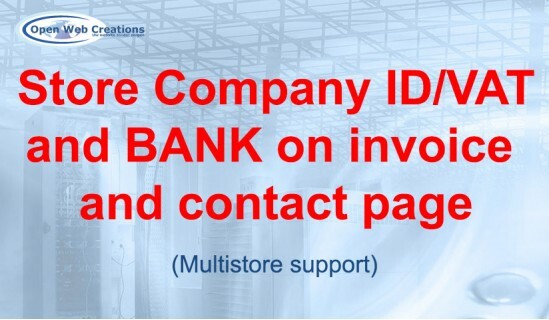 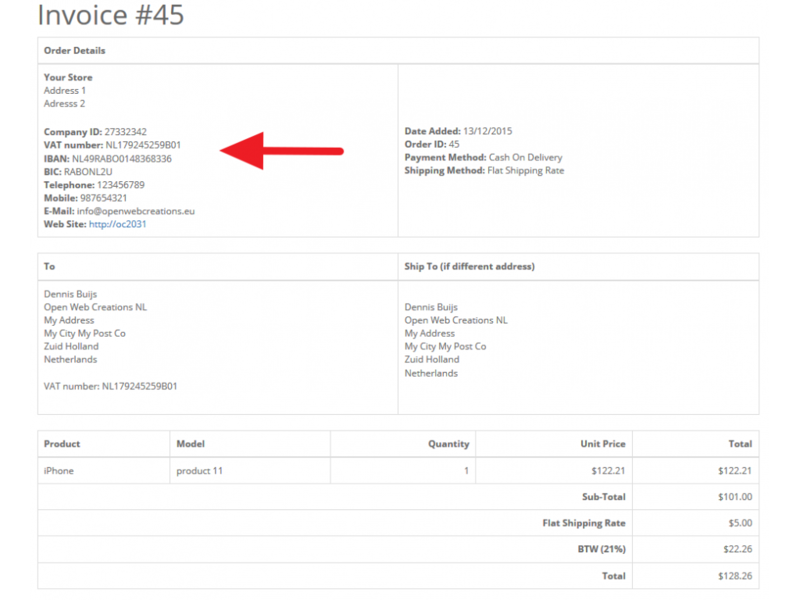 This extension will add the store fields Company ID, VAT number, IBAN and BIC into the store setting..
Store contact page with email and phonenumber adds the store emailaddress on your contact page, just..